I've been playing with a Kinect 2.0 on my PC. Here I am, in a false colour depth point cloud, sat at my desk. 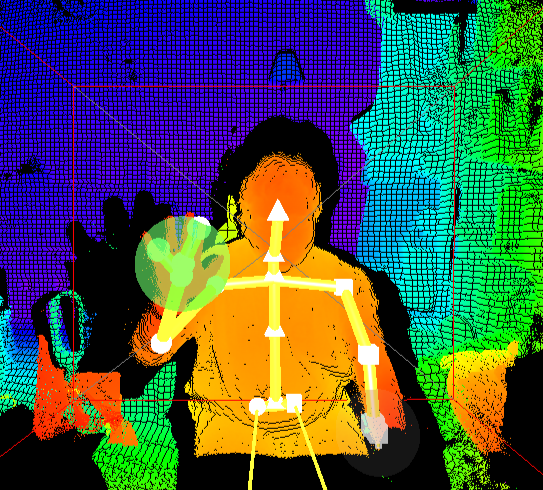 Interesting to get skeletal tracking and depth sensing on my desktop.